Ahead of the ITU Plenipotentiary Conference 2018 (PP-18) – the top policy-making body of the International Telecommunication Union, taking place from 29 October to 16 November in Dubai – ITU News is highlighting some key areas of ITU’s work. The following is an ITU Plenipotentiary Backgrounder, the original can be found on the PP-18 website here. About half the world’s people are connected to the Internet. The other half are not. The majority of the unconnected live in least developed countries, landlocked developing countries and small island developing states. At current growth rates, every year, there are some 195 million new Internet users, but substantial digital divides persist between more and less connected countries, communities, and people. With efficient and affordable information and communicatio​n technology (ICT) infrastructure and services, and the right digital, language and soft skills like teamwork, individuals and businesses can participate in the digital economy. This, in turn, allows countries to increase their overall economic well-being and competitiveness. People and communities that are connected are empowered. They can access information, online health services and life-saving disaster warnings. They can pay for goods and services via mobile phones, stay in touch with loved ones, increase productivity or perform better-paid jobs that require digital skills. 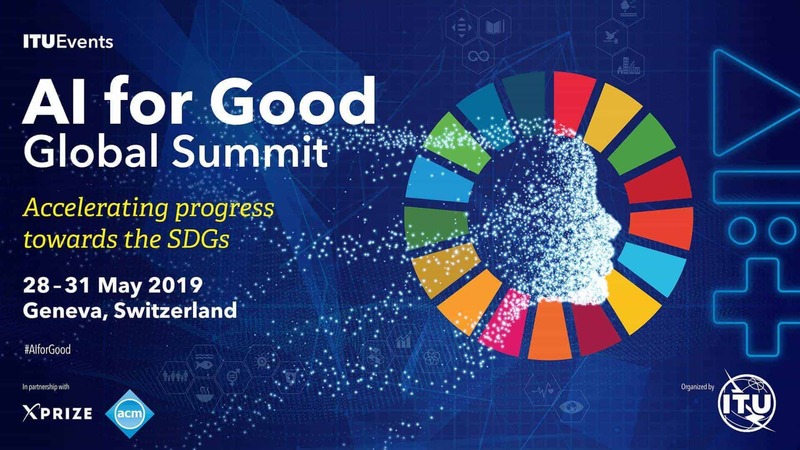 Connecting all the world´s people to the Internet — and removing digital divides — remains a challenge that needs to be addressed if the world community is to achieve the United Nations Sustainable Development Goals (SDGs) by 2030. Substantial digital divides persist between countries. Indeed, 84.4 per cent of households in developed countries had Internet access at home in 2016, compared with 42.9 per cent in developing countries and just 14.7 per cent in least developed countries. Digital divides are also evident within countries. Men, urban residents and young people are more likely to be online than women, rural dwellers and older people. The digital gender gap is relatively small in developed countries, more pronounced in developing countries and substantial in least developed countries. Divides often stem from insufficient or slow connectivity, the cost of connection and a lack of relevant content in local languages. These barriers are therefore often related to age, gender, disability, socioeconomic status and geography. Efficient and affordable ICT infrastructure and services, combined with enabling policy and regulatory environments, allow businesses and governments to participate in the digital economy and countries to increase their overall economic well-being and competitiveness. Some 20 countries have made Internet access a fundamental or citizen right. The global harmonization of mobile spectrum by ITU, together with the development of common international standards, has resulted in economies of scale leading to the reduction of prices of services and devices for both networks and end-users. Mobile technology is rapidly migrating from 2G — second-generation of mobile technologies — to 3G to 4G, with 4G networks representing around 30 per cent of total Internet connections. Developed countries’ initial adoption of 5G networks is expected to exacerbate the current digital divide, as developing countries are likely to take longer to implement 5G networks. Developing countries can, however, use existing ecosystems and networks to provide universal and affordable access to ICTs. Mobile networks can be gradually upgraded once the challenges to develop a sustainable 5G system have been overcome. Satellite services provide fixed and mobile services throughout the world. The global harmonization of mobile spectrum by ITU, together with the development of common international standards, has resulted in economies of scale leading to the reduction of prices of services and devices for both networks and end-users. Mobile cellular networks now dominate the provision of basic telecommunication services. In developing countries, the number of mobile cellular subscriptions more than quadrupled between 2005 and 2017, reaching 98.7 per 100 inhabitants in 2017. In least developed countries, the number of mobile cellular subscriptions grew fourteenfold since 2005, reaching an estimated 70.4 per 100 inhabitants in 2017. Broadband Internet networks are vital national infrastructure. Mobile broadband services, which tend to be cheaper than fixed broadband services, have increased rapidly and provide the most common means of access to the Internet and online services. In developing countries, the number of actual subscribers to mobile broadband grew tenfold since 2010, reaching 48.2 per 100 inhabitants in 2017. In least developed countries, active mobile broadband subscriptions increased from near zero in 2010 to 22.3 per 100 inhabitants in 2017. To make the best use of the Internet, people require digital skills, presentation and teamwork skills, and foreign language skills. ITU works in all regions of the world and develops tailored programmes to connect everyone to the Internet, in particular by developing infrastructure for technologies and networks, and enhancing the regulatory and market environment. The global “Connect 2020 Agenda for Global Telecommunication/ICT Development” to shape the future of the ICT sector was unanimously adopted at the ITU 2014 Plenipotentiary Conference. It sets out the shared vision, goals and targets that Member States have committed to achieve by 2020 in collaboration with all stakeholders across the ICT ecosystem. 4) Innovation and partnership – Lead, improve and adapt to the changing telecommunication/ICT environment. The ITU 2018 Plenipotentiary Conference is expected to review the goals and related global targets, setting the priorities in connecting the unconnected. ITU collects ICT statistics for 200 economies and more than 100 indicators to better understand connectivity challenges and to benchmark and measure progress, including on broadband, Internet use and mobile cellular and mobile broadband networks. The Organization provides free access to a large amount of ICT statistics and recommendations as to what can be done to address challenges. ITU publishes the Yearbook of Statistics and its flagship report “Measuring the Information Society,” which includes the ICT Development Index (IDI) and the ICT Price Basket (IPB). ITU raises awareness and assists countries in developing the policies, legislation, regulations and business practices that promote the digital inclusion of people with specific needs. These include indigenous peoples, people living in rural areas, people with disabilities, women and girls and youth and children. To help bridge digital divides, ITU has also published a number of publications including Bridging the Digital Innovation Divide, Achieving Universal and Affordable Internet in the Least Developed Countries, and many others. Many initiatives in Africa and in the Asia-Pacific region address the problem of access and affordability by providing affordable public access to the Internet in underserved areas using fixed, mobile or satellite technology. Privatization, competition and strong operators in Mali led to more affordable prices and consequently an increase in mobile phone subscriptions. The Government of Colombia has implemented a ‘Subsidy Programme for low-income households’, which includes a subsidy scheme for fixed Internet access to low-income households. Moreover, Colombia connects schools in rural areas using satellite, with the help of the private sector. To enhance the relevance of Internet content, the Government of India has created an online gateway of public information and on-demand services, providing locally relevant content, such as national identity and passport services, employment as well as tax and pension information and services. To enhance digital skills while simultaneously expanding quality education for all, Kenya has established a digital learning programme to drive primary education. ITU and the Government of Thailand have established more than 20 rural Internet centres nationwide. The centres strengthen ICT skills among students, youth and local communities and help to promote social and economic development in some of the most remote areas of the country. UN Broadband Commission policy recommendations to close the broadband gap.